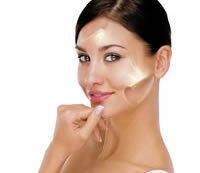 Introduce your skin to the benefits of professional skincare with our trained skincare experts. A superior facial with an international reputation. A monthly deep cleansing, regenerating Hydradermie facial will keep your skin in optimum condition. The therapist will customise the treatment to suit your skin type: de-hydrated, mature, oily, sensitive or pigmented skin. Blackheads are expertly removed to leave the skin beautifully smooth & clear. High-tech lifting facial. This 'work out' for the face & neck creates a lifting effect in just an hour by toning the complexion, smoothing wrinkles & lifting the facial contours. This is a wonderful anti-ageing facial combining the Hydradermie 2 & the Lift with the addition of the application of speical serums to the eye, neck & décolléte to nourish & smoothe & includes a pressure point eye massage. A relaxing hand & arm massage is performed while your mask is on. The perfect treatment before a special occasion. 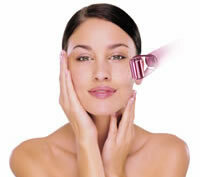 The Liftosome facial has been specifically developed to treat the problems associated with mature skins. Based on the use of orange extract, ginseng & collagen, this stimulating thermal facial regenerates & energises, leaving the skin firmed & radiant. An instant radiance reviver. Fruit-infused Beauté Neuve is a gentle double-peeling facial that uses the powerful natural exfoliating properties of AHAs, combined with pure Vitamin C and anti-ageing ingredients to boost radiance, reduce pigmentation, re-hydrate & regenerate the skin. A relaxing aromatherapy facial. Relax & unwind with a tension-reducing massage and a customised combination of plant extracts and essential oils to suit your skin's needs. This utterly relaxing aromatherapy facial balances the skin, softens fine lines, restores radiance, lifts your senses & instills an overall feeling of well-being. Includes a soothing scalp massage. The express facial for when time is precious. The ideal introduction to Guinot treatments. This facial includes gentle cleansing, toning & exfoliation with a combination of rose water, almond & fruit extracts, followed by a delightful lavender & menthol-based mask to leave your skin smooth & luminous. Whiteheads can be easily removed by electrolysis at the end of most of our facials.